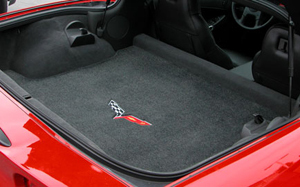 The Ultimats Floor Mat & Cargo Liner material was designed for automotive use, with comfort, performance and durability in mind. The Ultimats feature a premium, continuous filament two-ply nylon yarn in a 32 ounce per yard construction. 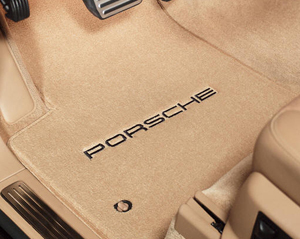 Twice the weight and density of your factory installed floor mats or cargo liner. The Ultimats dense construction and 5/16″ pile height provide impressive long wear and true comfort. The Ultimats are designed to provide greater coverage and protection than factory mats and a consistently precise fit. The durability of all Lloyd’s carpet mat products is enhanced by our unique multi-layer backing providing stiffness, moisture resistance and anti-skid characteristics. The Ultimat Floor Mats are equipped with factory compatible anchors, or easy to install mat hooks. Available in over 50 popular factory matched colors and over 1000 logos. NOTE: Ford emblems are not available on FRONT MATS for model year vehicles 2000 and newer. IMPORTANT NOTE: UPS 2nd Day Air Service is NOT available for this item. manufacturer in approximately 3-4 business days. There are absolutely no returns on custom mats unless an error is made by us.